Robert is a refugee from the Congo living in Uganda since 2008. 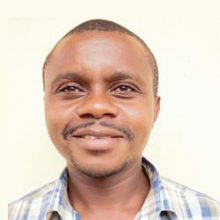 He holds a degree in agriculture from the Catholic University of Bukavu (drc). He interned with the United Nations Food and Agriculture Organization (unfao) in Goma and Kisangani (drc) as assistant field officer. In 2013 he worked as an assistant researcher with Oxford’s humanitarian innovation project. He is also one of the co-founders of YAIRD.